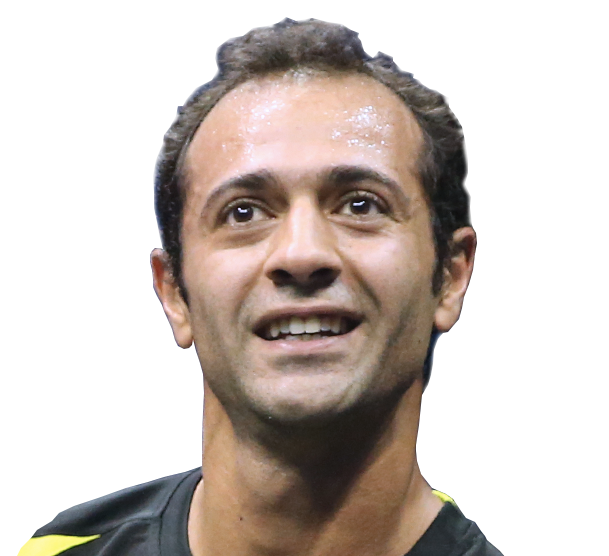 Four-time World Champion Amr Shabana is one of the most experienced players on the PSA World Tour and a crowd favorite all over the world. ‘The Maestro’ first showed his immense potential in 1997’s British Under-19 Open when a spirited display saw him finish runner-up at the hands of Ahmed Faizy. Two years later, Shabana captured his first PSA World Tour title, winning the Puebla Open. 2003 was when Shabana began to excell. Ranked as the number nine seed at the World Championship, he claimed a historic title after defeating Thierry Lincou in a tense showdown to become the first Egyptian ever to win the event, paving the way for a generation of dominance in the country. Shabana reached the final of the British Open in 2004 but lost out to David Palmer before storming to a second World Championship title in 2005 with a reverse on Palmer. In 2006, Shabana played the Tournament of Champions and reached his zenith when he became the first Egyptian player to reach World No.1 in April of that year – a position he would hold on to for three years. Third and fourth World Championships followed in the years thereafter. In January 2014, he became the oldest professional to win a PSA World Series event, defeating Gaultier in the Tournament of Champions final at age 34.